It’s clean. It’s quiet. It’s secluded. It has charm and grace. It isn’t like anyplace else in Georgia. It really isn’t like anyplace else in the US. Not from the beauty standpoint, because there are indeed some seriously beautiful cities in my country. It really isn’t like anyplace else in the US because Savannah pretty much doesn’t give AF. The city itself and it residents are happily cocooned in their small enclave, all happy to let the world move along. 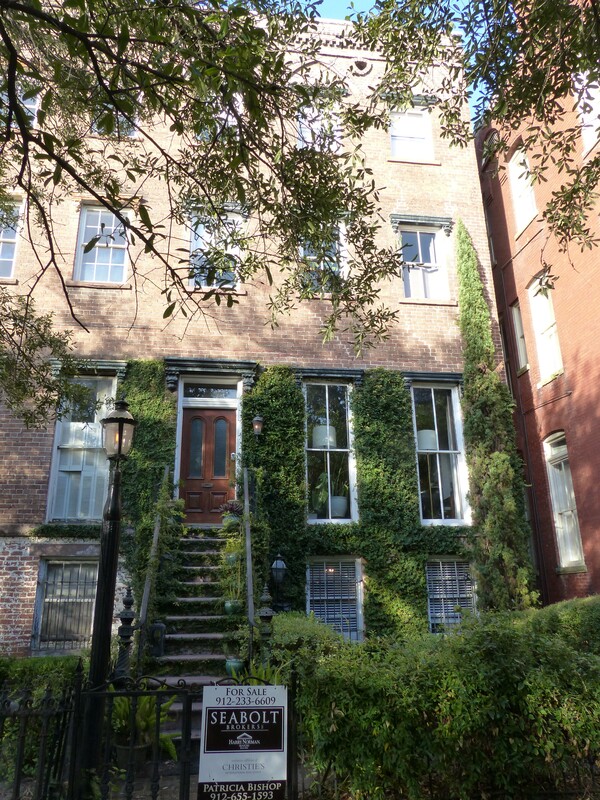 Sure, they know the city thrives on tourism, but tourists come and go…and Savannah remains the same. 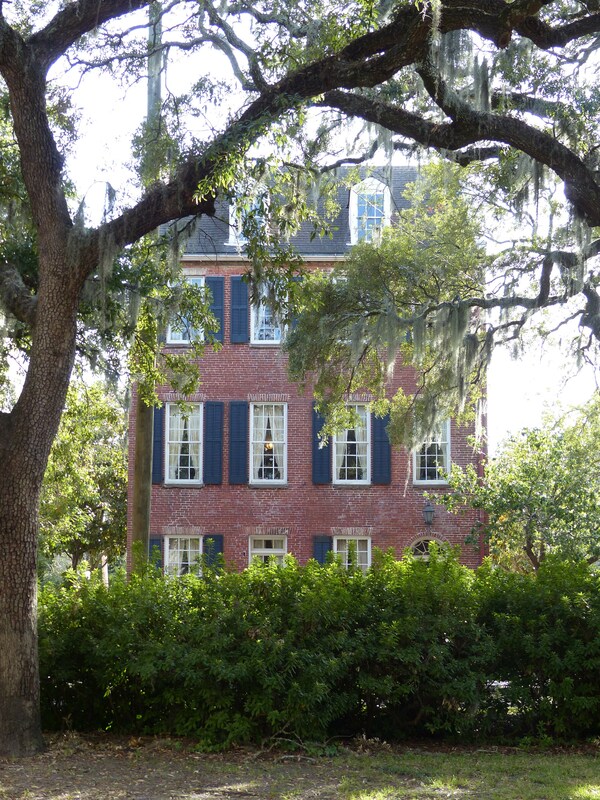 This post about our anniversary vacay to Savannah will mostly be photos of places and structures I loved. 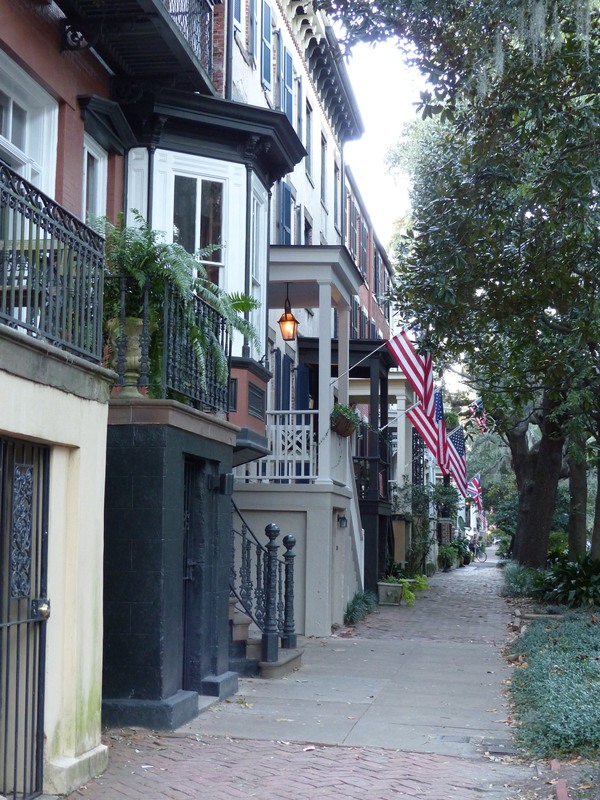 Jones Street was voted one of the prettiest street in America by Food and Wine and USA Today. We walked up and down every inch of Jones street all the way down to Crystal Beer Parlor and I’m here to tell you that it is, without doubt, one of the most beautiful streets I’ve ever walked. And that includes some seriously gorgeous places in Europe, y’all. This isn’t the best photo because it was important to me to really be present as we walked down Jones Street, but I loved the way the flags looked along this block. If you look closely you’ll see the Union Jack down the street after all those American flags. I do love me a Union Jack. Walking down Gordon Street, we came across Beth Eden Baptist Church. 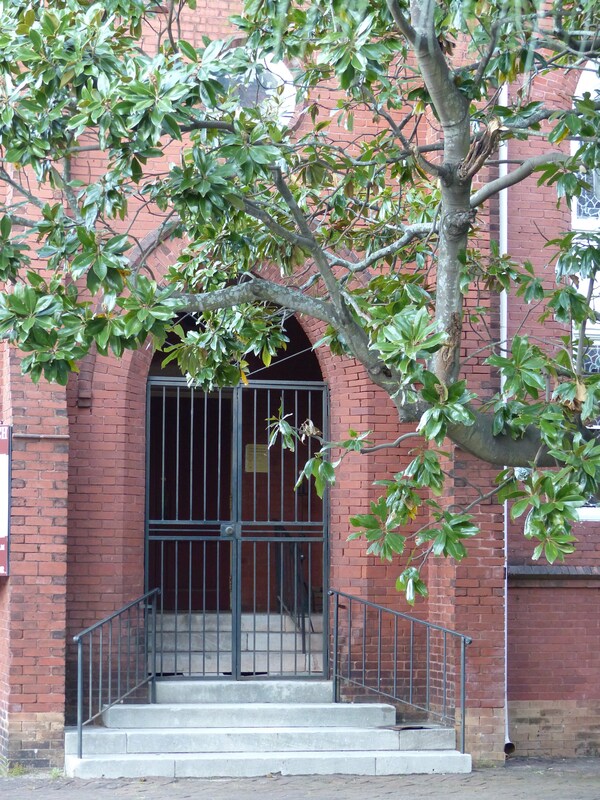 I loved the look of it’s dark red brick juxtaposed against gray sidewalk and deep green of the magnolia leaves. This beauty was on Oglethorpe Avenue. I actually stopped traffic to take this photo. I loved this house! Something about the brick gets me every time. I especially loved the way it looked through the foliage. 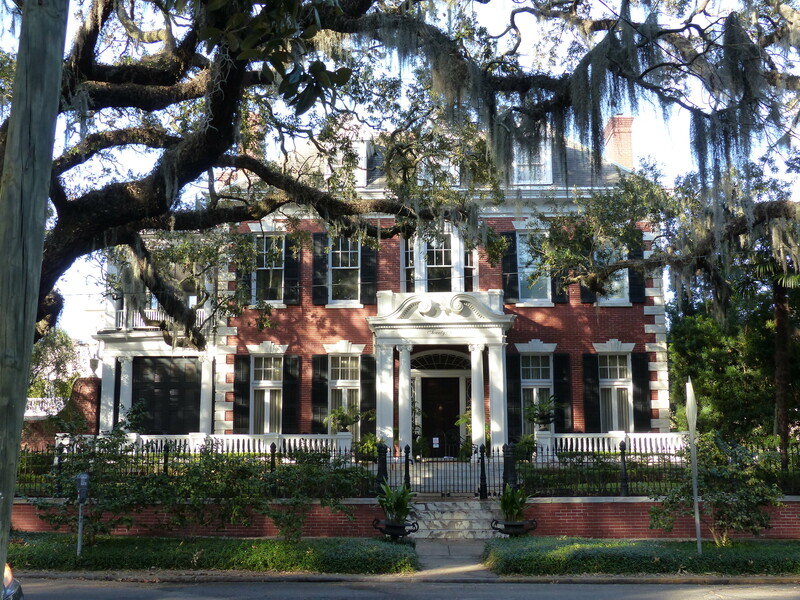 This one is on Gaston Street facing into Forsyth Park. 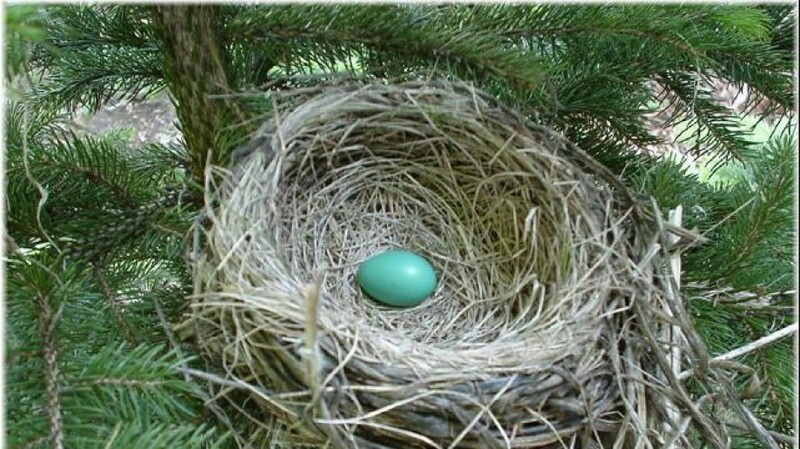 It’s too big for us…and YBW says it’s WAY to spendy. (He ain’t lying.) Plus there’s too much lawn to mow…but my God is it beautiful! There is a pattern. I adore the brick. There were some seriously gorgeous stucco houses I just blew right past because they weren’t brick. That’s probably silly of me, but they didn’t move me, however lovely they were. Further along Gaston Street I found this gem. It had a sale sign in front of it. It was spendy-ish but almost doable…I want very much to call this house my home. For now I live here in Virginia. The place I was born and raised. But it’s also kind of true. I left here once, but found myself returning “home”. Makes me wonder what would take me from Virginia and keep me away for good. I’m telling you, that house on Gaston Street just might be the the thing. Let’s try it and see!